Safety in the loading dock and warehouse environments is of great concern to many companies. Employee and equipment safety can reduce insurance rates and minimize legal risk when managed proactively. 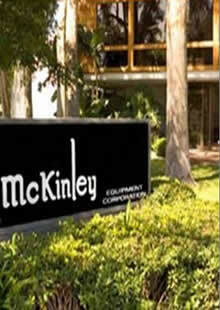 For these reasons McKinley Equipment provides a full line of safety equipment. Dock Bumpers are your first line of defense from heavy trucks that cause serious damage to your expensive dock levelers, building walls, dock seals and dock shelters. Loading dock bumpers come in a variety of types, from laminated for light use to molded and steel-faced for heavier use. Also known as Track Guards or Z-guards, dock door protectors are built to do what they say: Protect the door track and doors in you loading dock operation. 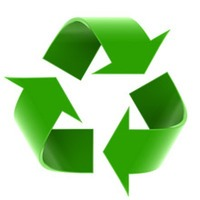 Their goal is to minimize the need for repair and more importantly to avoid a security issue with a broken door. Guardrail is your high visibility and structurally sound solution for providing protection to both people and equipment throughout your materials handling facility. Loading Dock Communication Lighting, also known as red-green lights, helps reduce the incidence of major accidents due to trucks pulling away from a dock before loading and unloading is complete. Column Protectors are designed to protect building columns, mezzanine columns, rack posts, drain pipes and other loading dock, warehouse and facility equipment from moving vehicles such as forklifts, lift trucks and other more. Pipe Bollards are the barrier solution to avoiding equipment, wall and facility damage. Bollard covers are the simplest way to immediately improve the look and safety of your loading dock, warehouse and parking environments. These bollard sleeves fit securely over existing bollard posts and are built with thick polyethylene for durability and extended color life. Reducing the occurrence of loading dock accidents is the chief goal for those installing a Dock Impact Barrier. Loading Dock Guide Lights are the best way to prevent a backing truck from overrunning the dock. Improving Warehouse Lighting can dramatically improve your safety record. Wire Partitions are the answer when it comes to safety, security and compliance. Warehouse safety equipment keeps your workers, visitors and warehouse environment safe. Contact us today with questions on our line industrial safety products.